Doors: 6:30 p.m.; Show: 7 p.m. Celebrate the release of Doug Paisley’s first album in five years, Starter Home, when this acclaimed Canadian singer/songwriter comes to the Stoltz! 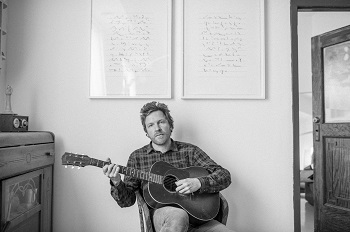 To make this new release, Doug stayed in his hometown of Toronto, playing with old friends and collaborators, and recording in home studios around the city. He spent the previous few years honing his writing, so Starter Home showcases an already brilliant songwriter getting even better. The songs are rooted in the sound of folk and country, and influenced by the many years he spent performing bluegrass and American traditional music, but the themes are universal and expansive, not belonging to any genre. The recording itself is quiet, often only minimally adorned, showcasing Doug Paisley's incredible voice and guitar playing.